--> World Water Day (WWD) 2015 was globally observed on 22 March 2015 with the theme Water and Sustainable Development. --> World Water Day is observed on March 22 every year since 1993. --> In 1993, the United Nations General Assembly designated 22 March as the first World Water Day. --> This day was formally proposed in Agenda 21 of the 1992 United Nations Conference on Environment and Development (UNCED) in Rio de Janeiro, Brazil. --> Sri Lanka's new government on 22 March 2015 conferred the country's highest military rank of field marshal to former army chief Sarath Fonseka. --> President Maithripala Sirisena awarded the honourary title to retired Gen Fonseka at an official ceremony in the capital. --> Fonseka, who became the first Sri Lankan to receive the title, was stripped of his rank, pension and medal he received during his 40-year career, and jailed after he unsuccessfully tried to challenge Rajapksa's re-election bid in 2010. --> Fonseka led Sri Lankan troops to victory over the Tamil Tigers in 2009. 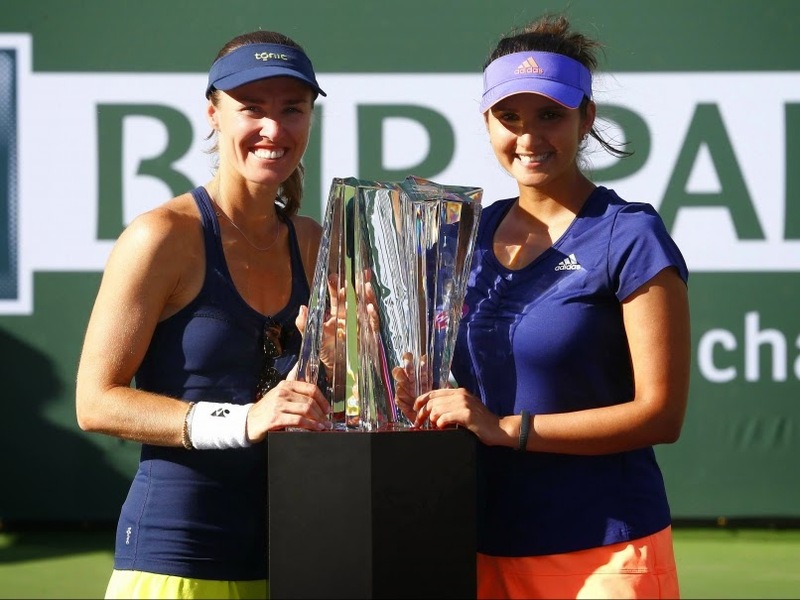 --> Sania Mirza and Martina Hingis began their partnership on winning note as the duo defeated Ekaterina Makarova and Elena Vesnina to win the BNP Paribas Open doubles title. --> Hingis has won 11 Grand Slams in the team discipline (nine in women's and two in mixed) while Sania has claimed three Grand Slams (all in mixed) -- and their doubles partnership was eagerly awaited in the tennis circuit. --> International Day of Forests was observed on 21 March 2015 with the theme Forests and Climate Change. --> The theme highlights forest-based solutions to address climate change mitigation and adaptation, and more broadly forests and sustainable development. --> 21 March was established as the International Day of Forests by resolution A/RES/67/200 of the United Nations General Assembly (UNGA) on 28 November 2012. --> Lee Kuan Yew, the statesman who transformed Singapore from a small port city into a wealthy global hub, has died at the age of 91. --> The city-state's prime minister for 31 years, he was widely respected as the architect of Singapore's prosperity. --> He was elected as First Prime Minister of Singapore in 1959. Since then he had served as PM of country for 31 years and had stepped down in 1990. --> India has overtaken the US to become the third-largest steel producer in the world with a production of 14.56 million tonnes (MT) in first two months of the year. --> India has been the fourth-largest steel producer for the past five years, behind China, Japan and the US. --> Data compiled by World Steel Association ( WSA) showed that the country's production growth was the highest during the January-February period at 7.6 per cent as compared to the global average of just 0.6 per cent at 127.6 MT. --> World number one Novak Djokovic recovered from a second-set battle to beat Roger Federer 6-3 6-7 (5-7) 6-2 in the BNP Paribas Open final. 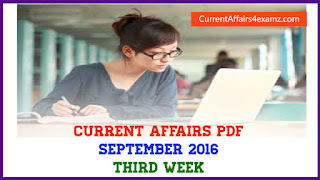 --> President Pranab Mukherjee on 22 March 2015 conferred one Kirti Chakra and 11 Shaurya Chakra awards on armed forces personnel, three of them posthumously, for gallantry. --> The awards were given at a Defence Investiture Ceremony, attended by Vice President Hamid Ansari, Prime Minister Narendra Modi and Defence Minister Manohar Parrikar among others. --> The Kirti Chakra was given to Captain Jaidev of Parachute Regiment, posted at 3rd Battalion Rashtriya Rifles, for displaying dauntless courage and extraordinary valour under heavy fire in Jammu and Kashmir’s Pulwama district on June 19 last year while tackling three terrorists.